LEAWOOD, KS (July 27, 2015) – The annual CARSTAR Auto Body Repair Experts conference is always about networking with other CARSTAR store owners, vendors, insurance partners and industry leaders. But two CARSTAR owners took it to the next level at the recent CARSTAR conference in San Diego. While standing in line for lunch, one owner overheard an introduction of two other owners. 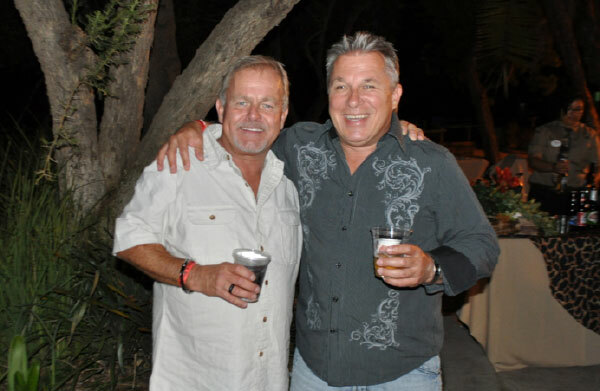 He quickly realized that they had a past connection – best friends in the class of 1977 at Lakeshore High School in St. Clair Shores, MI. Today, John O’Hara is the owner of CARSTAR R&R Collision Center in Orlando, FL, and has been in the business for 35 years. Bob Dresser owns CARSTAR Collision Masters East in Las Vegas, and counts more than 25 years in the collision industry. That’s when O’Hara stepped in to see if it was indeed the same Bob Dresser he knew 35 years ago. The two had not seen each other since getting their high school diplomas. Two years after graduation, O’Hara moved to Florida, continuing his career in the collision repair industry. Dresser stayed in Michigan for a while longer, eventually owning his own shop before selling it and moving to Las Vegas 21 years ago. Both O’Hara and Dresser reconnected immediately at CARSTAR Conference, and even though they live more than 2,300 miles apart, the two plan to stay in close contact.